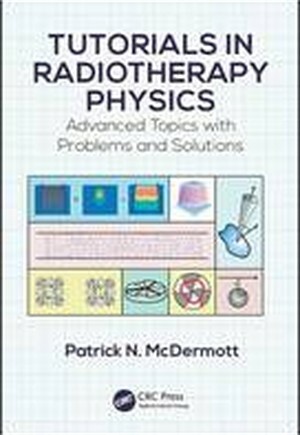 The Topics Every Medical Physicist Should Know Tutorials in Radiotherapy Physics: Advanced Topics with Problems and Solutions covers selected advanced topics that are not thoroughly discussed in any of the standard medical physics texts. The book brings together material from a large variety of sources, avoiding the need for you to search through and digest the vast research literature. The topics are mathematically developed from first principles using consistent notation. Clear Derivations and In-Depth Explanations The book offers insight into the physics of electron acceleration in linear accelerators and presents an introduction to the study of proton therapy. It then describes the predominant method of clinical photon dose computation: convolution and superposition dose calculation algorithms. It also discusses the Boltzmann transport equation, a potentially fast and accurate method of dose calculation that is an alternative to the Monte Carlo method. This discussion considers Fermi-Eyges theory, which is widely used for electron dose calculations. The book concludes with a step-by-step mathematical development of tumor control and normal tissue complication probability models. Each chapter includes problems with solutions given in the back of the book. Prepares You to Explore Cutting-Edge Research This guide provides you with the foundation to read review articles on the topics. It can be used for self-study, in graduate medical physics and physics residency programs, or in vendor training for linacs and treatment planning systems. The Physics of Electron Acceleration in Medical Linacs Introduction Maxwell's Equations Cylindrical Waveguides Traveling Wave Accelerators I Cavity Oscillations Energy Traveling Wave Accelerators II Standing Wave Accelerators Pulsed Operation and Waveforms Frequency Stability and Fabrication of Waveguide Structures Changing Beam Energy Comparison between TW and SW Linacs X-Band Linacs Proton Therapy Physics: Protons for Pedestrians Introduction Brief History Interaction of Protons with Matter Absorbed Dose and the Bragg Peak A Few Words about Radiobiology Circular Charged Particle Orbits and Stability Proton Therapy Accelerators Beam Transport and Gantries Lateral and Axial Beam Spreading Beam Calibration Dose Calculation Algorithms Inhomogeneities Dose Distributions Radiation Shielding New Developments Summary Convolution/Superposition Dose Computation Algorithms Introduction Monoenergetic Beams, Homogeneous Medium Convolution Integrals Polyenergetic Beams, Homogeneous Medium Incident Energy Fluence, Beam Modeling, and Primary Photon Transport Point Dose Kernels Analytical Derivation of a Point Kernel for Singly Scattered Photons Heterogeneities Pencil Beams Patient Geometry Collapsed Cone Convolution Calculation of Monitor Units Dose Calculation Speed Pinnacle Treatment Planning System Conclusion Deterministic Radiation Transport: A Rival to Monte Carlo Methods Introduction Absorbed Dose, Kerma, and Fluence Differential Fluence Calculation of Dose from Fundamental Radiometric Quantities Transport Equation Primary Radiation Consisting of Charged Particles CSDA Approximation Indirectly Ionizing Radiation Efficacy of BTE-Based Dose Calculations Fermi-Eyges Theory and Electron Pencil Beam Dose Calculations Conclusion Tumor Control and Normal Tissue Complication Probability Models in Radiation Therapy Introduction Some Elements of Probability Theory DVHs Normal Tissue Complication Probability Tumor Control Probability Probability of Uncomplicated Control Conclusions/Summary Problems, Questions, Symbols, References, and Endnotes appear at the end of each chapter.